First Time Chihuahua: Dog Accessories. 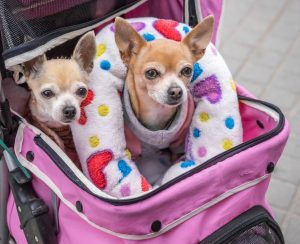 First time Chihuahua owners will often find themselves wondering wondering what dog accessories to buy for their little one. Though there are many Chihuahua accessories out there, some of the most important are listed below! Chihuahua Coat, Hoodie or Sweater. Even though their much larger ancestors were able to run happily among ice, snow, and frigid temperatures, our small friends certainly can’t. During cold weather, even a quick outside potty break can easily become a painful and uncomfortable experience for any unrepaired Chihuahua. Make sure your pet is ready by keeping him warm this winter! Cold weather poses a much greater risk for our toy breeds. Click here for a great sweater! 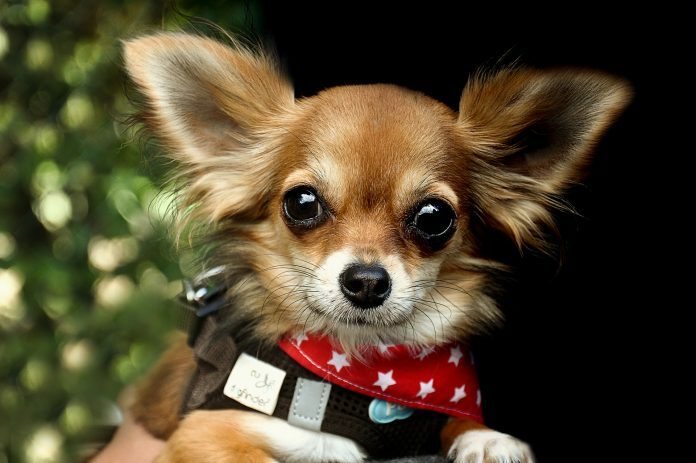 We can’t always hold our Chihuahuas everywhere we go, and let’s face it- they aren’t always the fastest leash walkers. Thankfully, there are many specially designed Chihuahua travel packs, perfect for your little one! Not only will they keep your pet safe in an enclosed area, these packs usually offer special collar attachments to keep him from falling or stumbling, extra padding for comfortability, and plenty of ventilation! Though we often see larger dogs wearing collars, a Chihuahua’s neck is much smaller and more delicate. In fact, many experts recommend against Chihuahuas (and most other small breeds) wearing dog collars for their higher risk of injury. A small dog harness is your perfect solution! Not only is there absolutely no risk of constriction against their tiny trancheas, harnesses offer more stability. If you don’t like this one, most pet stores will carry a large variety! According to the ASPCA, approximately 3.3 million dogs enter animal shelters in the US each year, and only a fraction are actually reunited with their owners. Make sure you are prepared in case your chihuahua does end up getting loose! ID tags are always very important, offering others a way to contact you in case they do find your dog, by providing at the very least a contact number. Microchips will provide any vet clinic or shelter your exact contact information immediately upon scanning, as well as health and vaccination records. Prepare your young Chihuahua well by cultivating strong social skills early! 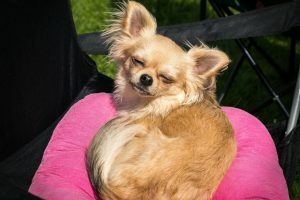 Reinforce great, pleasant interactions with other animals at an early age, before your Chihuahua developes antisocial behaviors, by rewarding those interactions with praise or/and treats. Because they are so very small, you want to be careful about what treats you choose to feed your chihuahua. Make sure the rewards you offer are soft and easily chewable! Statistics show that up to 25% of dogs will develop some type of arthritis as they age. While it is always easy to line a crate (another must-have dog accessory) with soft material, dog beds are designed with an emphasis on comfort. A specially manufactured orthopedic dog bed is a great idea for your little one! Previous articleNeurological and Seizure Disorders in Chihuahuas, Guide and Advices. Next articleChihuahua Senior Dog Care, Guide and Advices.